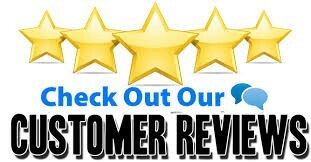 **We have more and better reviews than any other Bridge builder in the industry on Houzz.com** Cick on the link and see for yourself. We are the Only Custom Bridge building company in Califorina that allows you a option to deliver your bridge fully assembled, Please ask about this option! We are centrally located in the Central Valley. 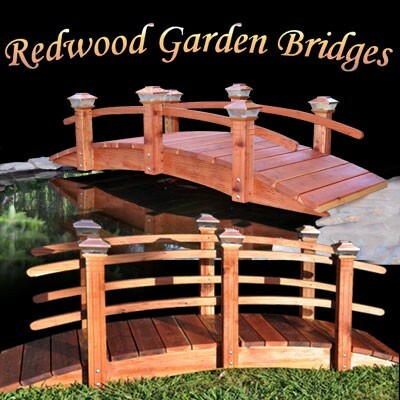 Made by "Old World Master Craftsmen" Speciaclizing in custom creations just for you , 100% California Redwood Garden Bridges made from Redwood for Landscaped yards,Koi Ponds and Japanese Water Gardens Goldfish ponds. A+ Rated BBB Garden Bridges since 1996 ! A Little about our bridge ordering process. We start with a series of questions to you such as, What is your landscaping theme? What is your intended use of the bridge? Where will your bridge be located? What is the potential weight load? What is the end to end measurement where the bridge is to be placed? How wide do you want it? Is the ground level from side to side? Do you have any pictures you can send us info@redwoodgardenbridges.com of where your bridge will be placed? As a builder/designer we would like to see the planned location to offer suggestions. What style of bridge are you considering? No post, Short post, Single rail,Double rail,Spindles, Solar lights, Sealed, composite lumber? Once all these questions have been answered. We will start the building process. We will hand select each piece of lumber to use for your bridge. We then build the bridge in our shop, detail and sand all edges. The bridge is then line traced and all components are numbered so that once you have the bridge at your location it will be very easy for reassembly. Once your bridge is completed we disassemble your bridge and package it. It will be shipped to you through our carrier. If you are in California you may want to discuss having your bridge being delivered fully assembled. We ask that you call on that option ahead of time. Normal turn around time is 7 to 14 business days depending the time of the season and on hand orders plus your Location. Our Redwood Bridge sizes are quoted as actual-size. Actual end-to-end lengths of each bridge will span the gap. For example a 8 foot bridge actually covers a 6 foot opening. With a foot of footing at each end. Top 11 reasons to choose a redwood bridge for your landscaping project. We offer many different Styles. Look at them and decide which would look best in your yard, Japanese bridges, ones with ropes, rails one or two, curved rails, spindles, short post or no posts at all, spindles, half spindle, even composite lumber materials. Yes we build a line of RainbowBridges. To help you with all the options, we have packed our web site with information about the materials, designs, sizes, cost, and shipping of our easy-to-assemble Bridges. If you have any questions or want a Custom Quote, you can contact our consultant professional by calling our phone line and talking to Designer/Builder, Joe. He will help you with your landscaping bridge questions. You have made us the fastest growing bridge builder in the business. I personally want our customers happy with their bridges that we build, if for any reason you aren't happy please call me on my personal number at 559-325-2597. I want to know about it. You are our future. It is our privilege to serve you.